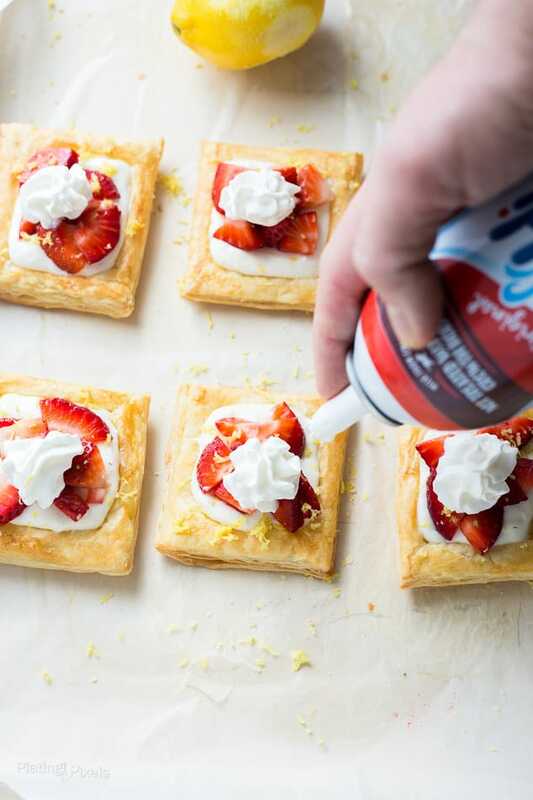 Easy homemade Strawberry Lemon Cream Breakfast Tarts made with whipped lemon cream filling over flaky pastry squares. Topped with fresh spring strawberries. Plus tips for making them crisp, creamy and flavorful, every time. Spring is just around the corner , which means it’s time for a transition and new changes. 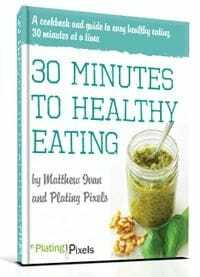 Ingredients change from spices, sweet potatoes and hearty dishes to lighter, fresh recipes that include seasonal fruits. Strawberries are of course at the top of the list. 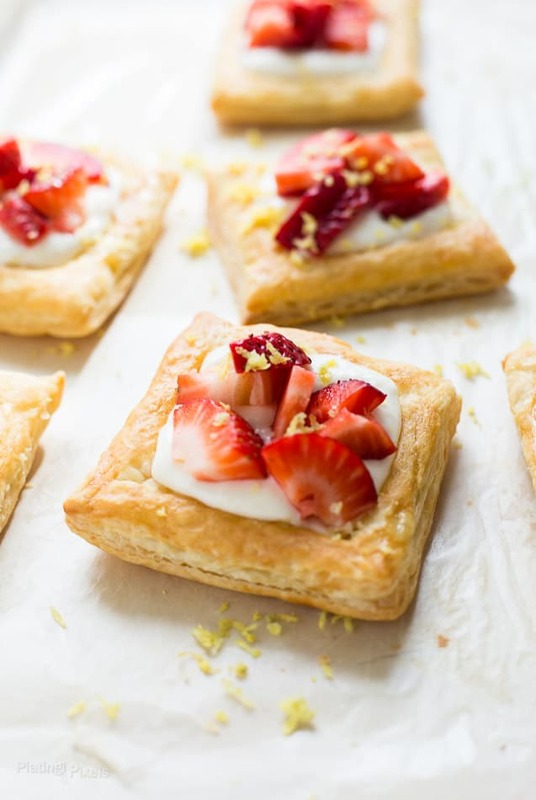 To celebrate the season I’ve created these Strawberry Lemon Cream Breakfast Tarts. Poke holes in dough to allow are to release while baking. Bake partway, press centers down with a fork, then continue to bake. This prevents centers from puffing up. 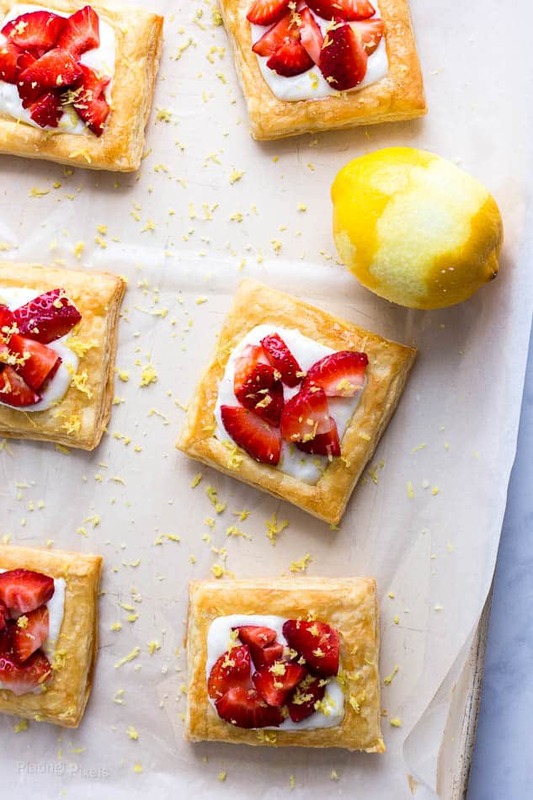 Thanks to fresh strawberries and citrus, these lemon cream breakfast tarts are a simple way to ease any upcoming transitions you may be having. Ready in about 20 minutes, you’ll have a bright and fresh dessert for any occasion. The filling is a no-bake, no-chill mixture of cream cheese, powdered sugar, lemon juice, lemon zest and whipped cream. That’s right, canned whipped topping is also great inside of recipes. It adds a creamy, whipped texture to the filling that complements the flaky pastry base. 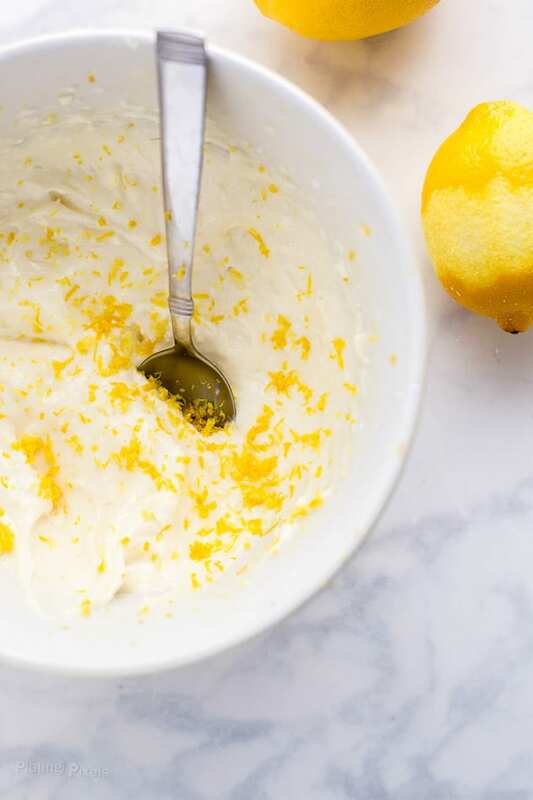 Lemon juice and zest: It wouldn’t be a lemon cream without lemon. Adds lots of flavor, especially the zest. Top with fresh strawberries for a simple spring dessert or breakfast tart. Be sure to add that classic whipped dollop for extra flavor and gorgeous presentation. Flavor profiles: Sweet and tangy lemon cream filling with fresh, fruity strawberries and a buttery crust. Texture: Creamy filling over a flaky pastry crust. 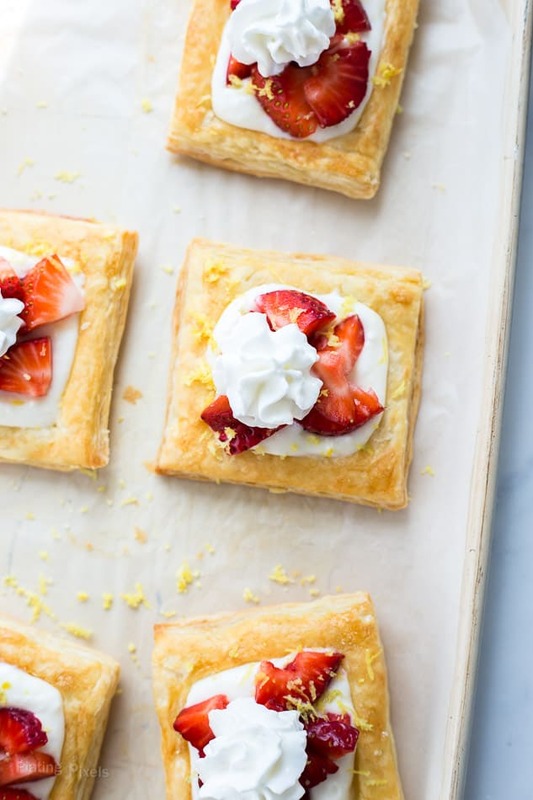 Strawberry Lemon Cream Breakfast Tarts made with whipped lemon cream filling over flaky pastry squares. Topped with fresh spring strawberries. Preheat oven to 400 F. Unroll pastry sheet onto lightly floured cutting board. Cut into 9 three-inch squares. Using a sharp knife, lightly score ½-inch in from edges to create an inner square. Poke centers multiple times with fork. Lightly brush tops with egg. Place pastry squares on a parchment lined baking sheet one inch apart, bake 10 minutes. Remove from oven and flatten centers with back of a spoon. Bake 7-10 minute more until golden brown. Remove from oven and press centers down one more time. Set aside. Top with chopped strawberries and a dollop of whipped cream. Serve immediately. Yum! Loved the recipe. Such an excellent breakfast idea. 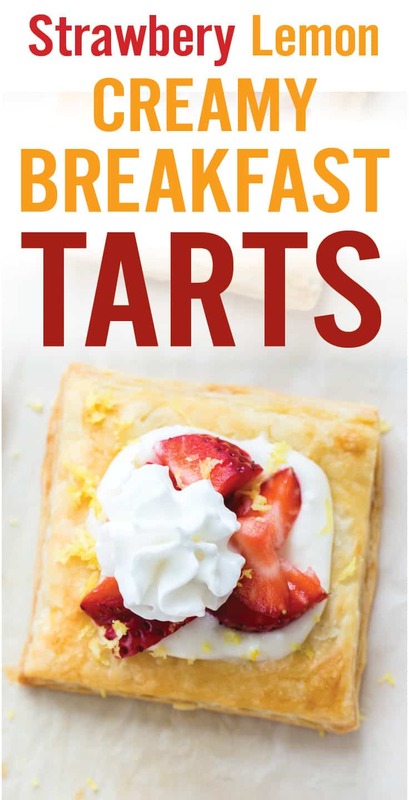 I can see myself starting the day with these tarts, Matthew! These look so wonderful! I love a little lemon zest with any dessert. It adds such a nice tartness. Sounds like one of those perfect summer recipes. Oh those look heavenly! I simply adore a nobake cheesecake filling in my pastries! I have to try this one!